Photo Gallery Thursday "US Open Grey Goose Honey Deuce Cocktail"
I cannot believe the US Open starts next week! Summer is gone! 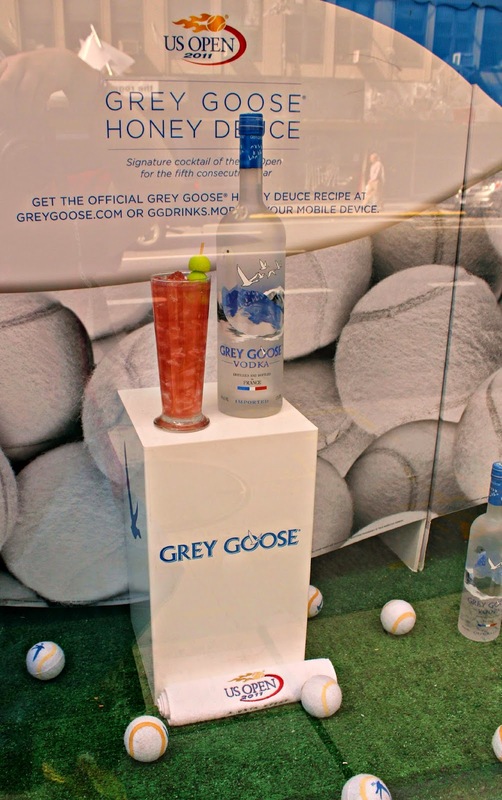 But we still have time to enjoy this fun cocktail by one of the long time US Open sponsors, Grey Goose! Please be sure you are of age if you choose to enjoy this cocktail! A bit strong for me, but I do love the idea with the melon balls as tennis balls! Fill a chilled highball glass with crushed ice and add GREY GOOSE® Vodka. Top with lemonade to just below the rim and then add Chambord®. Garnish with honeydew melon balls.